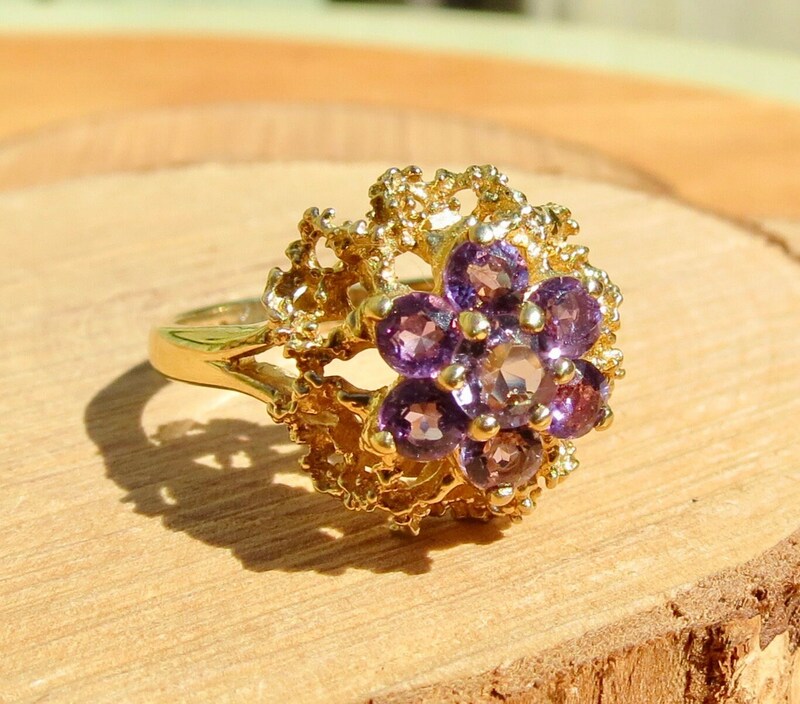 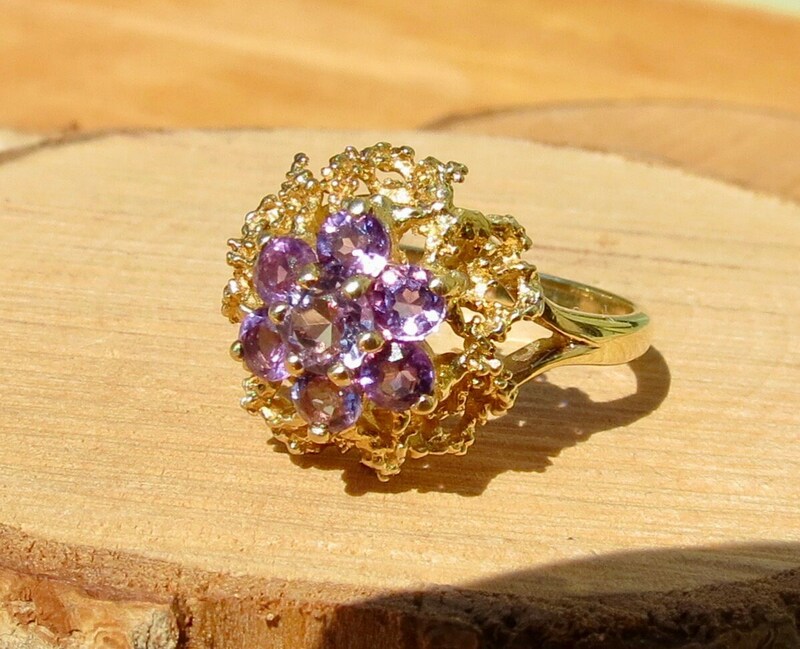 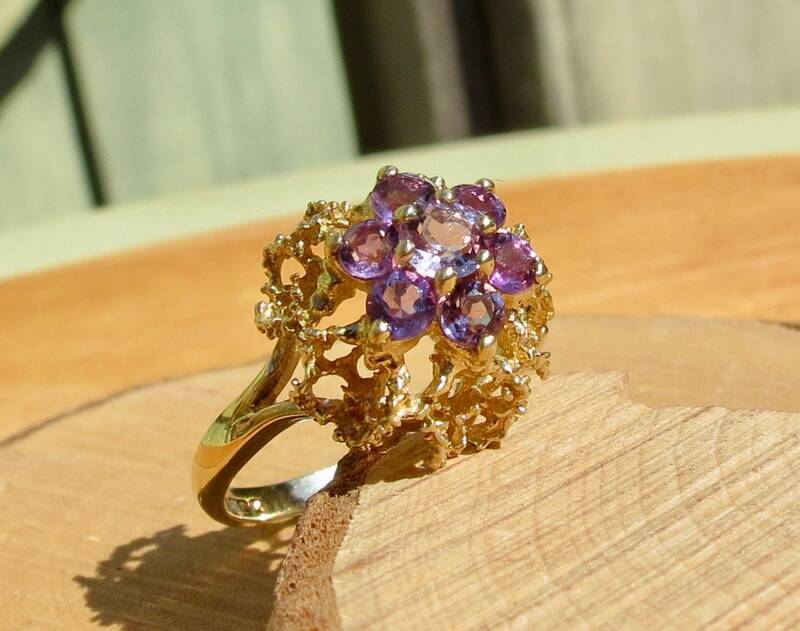 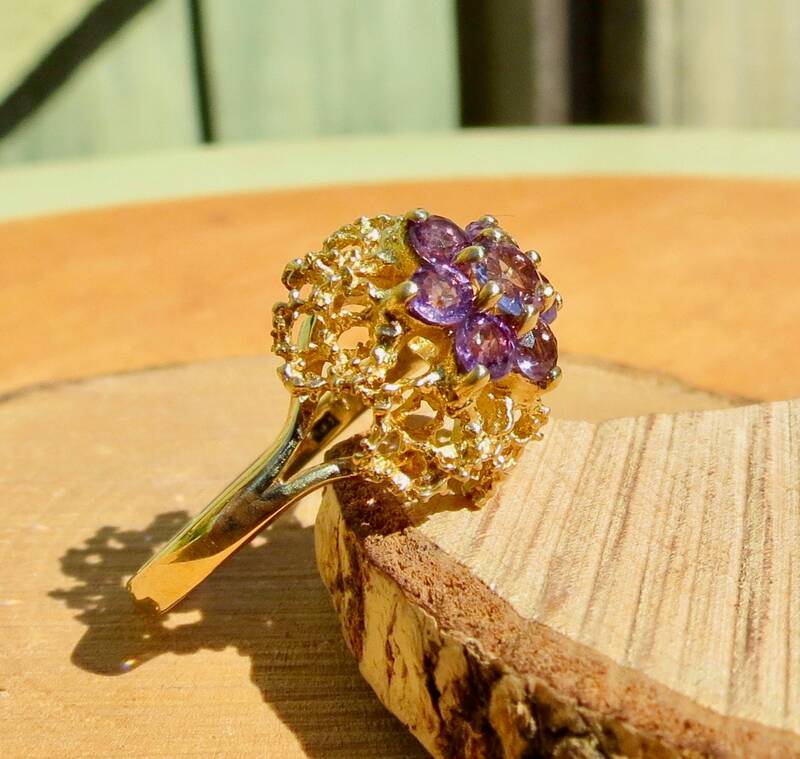 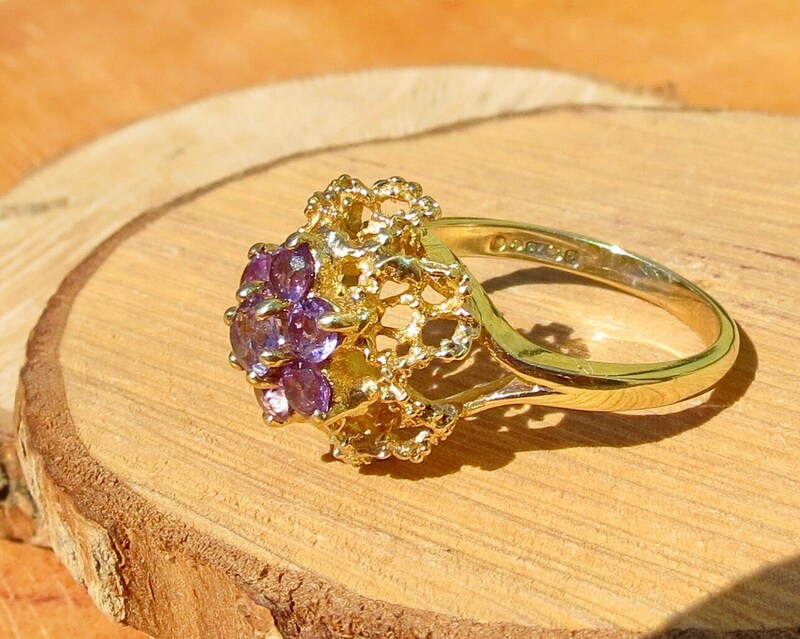 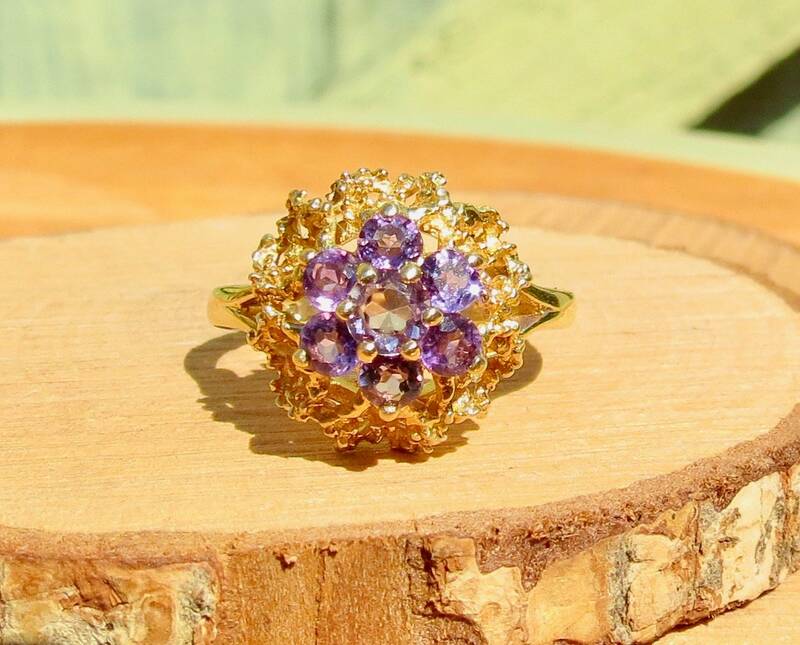 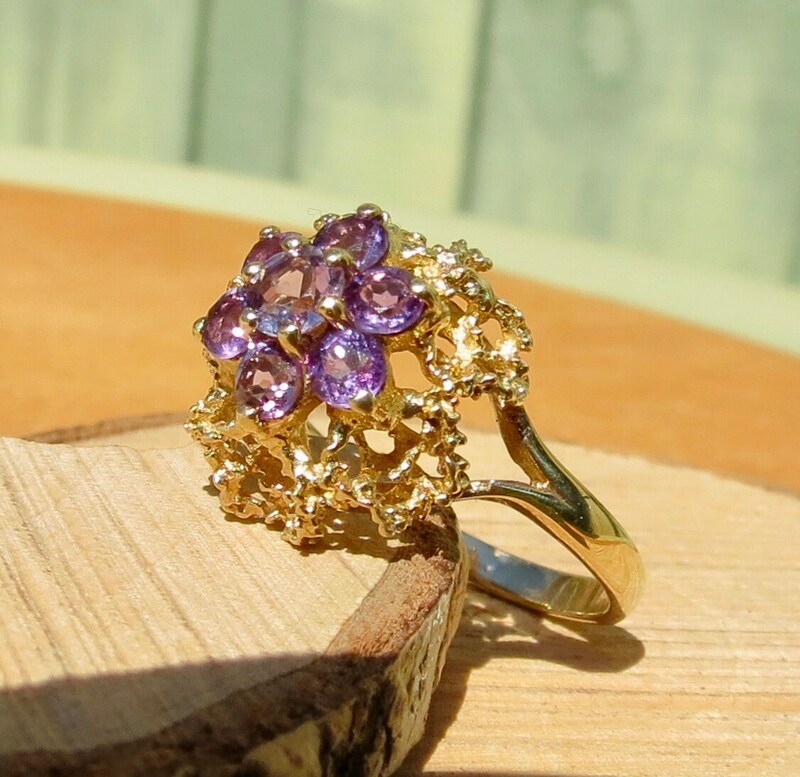 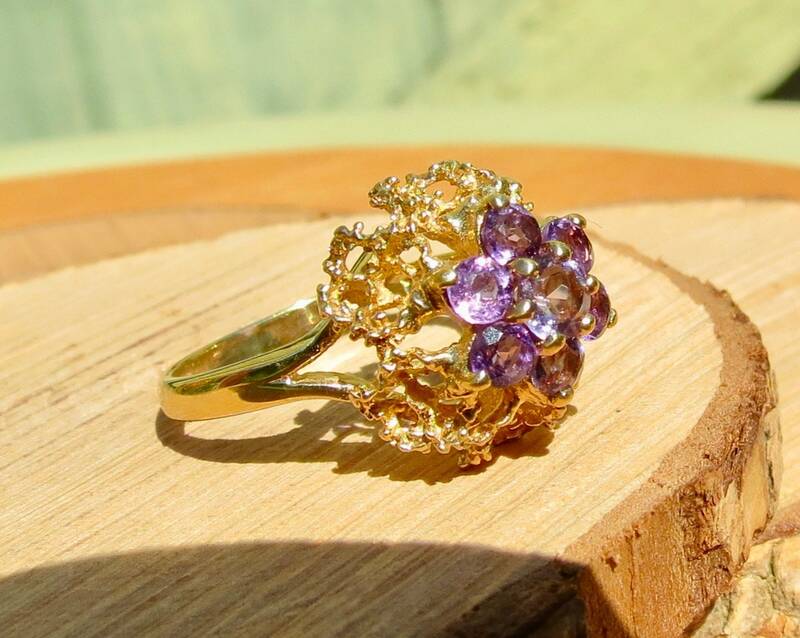 This 9k yellow gold ring has a cluster of of 7 round cut amethysts set in an stylised mount. 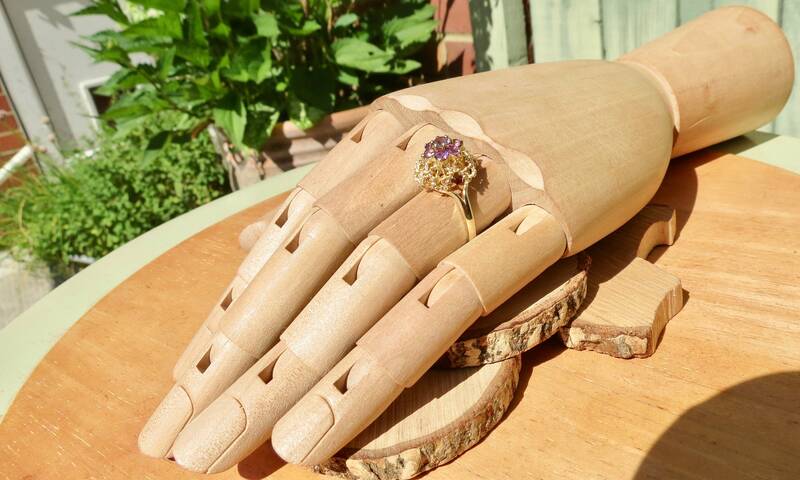 Split shoulders lead to a plain shank. 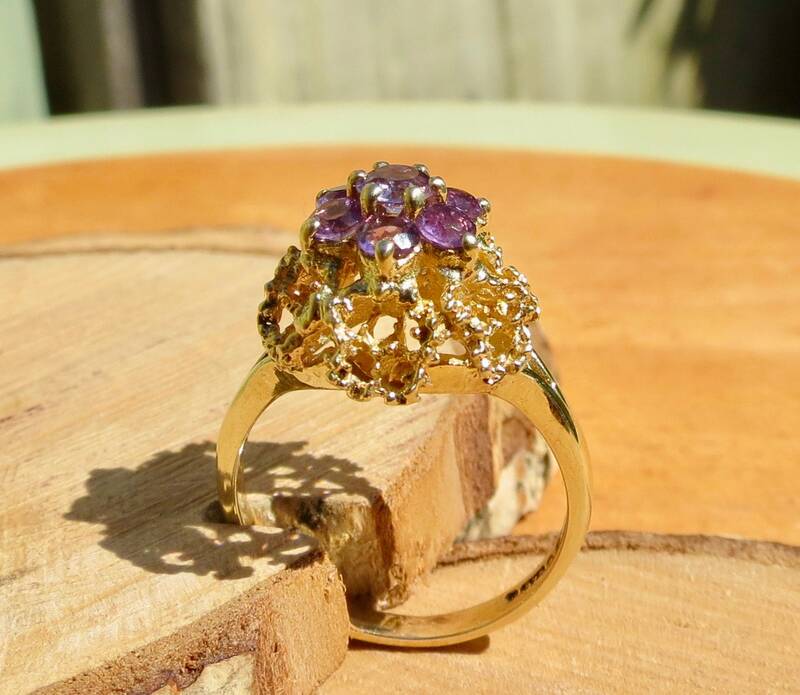 Full British hallmarks, 9k yellow gold, London England.